The Education Teams in England worked throughout June to collectively deliver a series of creative and informative workshops and events. In the North East, the Education team delivered 30 workshops, over 60 hours, to a total of 1041 school students, across the region in 12 Primary schools and 2 First schools. In addition, the team delivered a two day training event for staff of Her Majesties Passport Office (HMPO) in Peterborough, as part of a wider training partnership with the Home Office. Over 30 delegates took part in each day of training, with 60 beneficiaries in total. The team also delivered anti-racism education training to 75 tutors from Askham Bryan College. 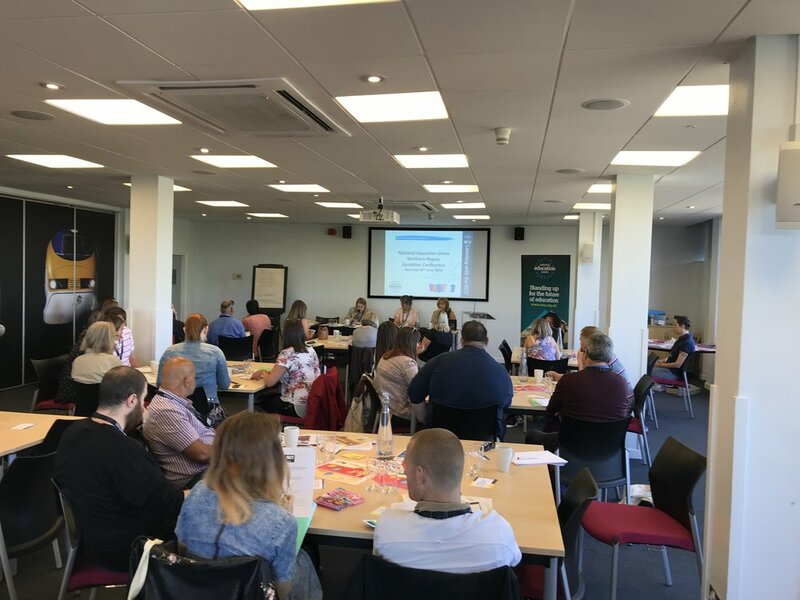 The training was delivered as part of a fantastic Equalities CPD event organised for staff by the college, with guest speakers on topics including intersectionality, sexism, disability discrimination and homophobia. Show Racism the Red Card also took part in a brilliant Health and Wellbeing Day organised by West End Schools Trust, where 350 young people from seven Primary Schools visited St. James Park as part of preparations for their transition to Secondary School. Education Team Manager, James Kingett, and former Sunderland AFC player, David Corner, now working as a coach with SRtRC, delivered a 20-minute presentation on the importance of self confidence and treating people with respect. On the final day of the month, the NE Education Team took part in the Northern NEU Equality Conference at York's National Railway Museum. Over 40 teachers and Equality group members took part in a number of workshops, including two delivered by Show Racism the Red Card staff; Teaching Children about Equality & Welcoming refugee children into school & Unconscious bias and Tackling Prejudice. In the Southern Region, the Education Team delivered 38 workshops, over 76 hours to a total of 1223 young people, across the Southern Region in 10 Primary schools and 3 Secondary schools. "The whole of the Year 5 team were really impressed with how smoothly the day ran and the quality of the workshops. The children had a fantastic day and learnt a lot! It is brilliant to have an organisation available to run sessions on such a topical issue and we are sure that the children will bring what they have learnt from the day into Year 6 and secondary school. "Looking forward to next year, we would definitely like to book it again for possibly the Autumn term, so that it can have an impact on the cohort from the beginning of the year."